Home » ccna exploration 2 final Exam » Refer to the exhibit. 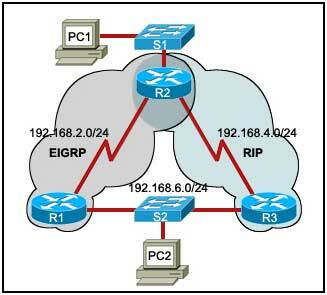 Routers R1 and R3 use different routing protocols with default administrative distance values. All devices are properly configured and the destination network is advertised by both protocols. Which path will be used to transmit the data packets from PC1 to PC2?